The Labor Department reports there were 196,000 new jobs filled in March, easing fears that the economy may be slowing. But employers handed out fewer pay raises, as wages grew at a slower face than in February. The nation’s unemployment rate held steady in March at 3.8 percent. Upon entering the workforce, college graduates are bringing home less than they expected on an annual basis, according to a recent study by personal finance website LendEDU. Planned job cuts announced by employers based in the U.S. plunged 24% in September to a 14-year low of 30,477. Figures released by outplacement consultancy Challenger, Gray & Christmas suggest 2014 is on pace to be the lowest job-cut year since 1997. Last month’s job cuts were the fewest since June, 2000, when just 17,241 workers were let go. The September decline brings the 2014 monthly average down to 40,379. If this pace holds, the year could end with fewer than 500,000 job cuts for the first time since 1997 (434,350). So far this year, employers have announced 363,408 planned terminations -- 6.2% fewer than the 387,384 cuts announced through September, 2013. Job cuts in September were led by the entertainment industry, where the closing of casino resorts in Atlantic City resulted in more than 7,000 firings. Overall, employers in the entertainment and leisure industry announced 8,119 job cuts during the month -- the most since December, 2005. The computer sector continues to lead all industries in terms of year-to-date job cuts, despite the fact that just 74 were reported by these firms in September. Employers in the computer industry have announced 49,002 job cuts, so far this year -- nearly double the 27,892 computer-sector job cuts tallied in the first nine months of 2013. Over the last few years -- since the end of the recession -- the fourth quarter has been among the lowest job-cut quarters. In four of the previous five years, the fourth quarter saw the fewest or second fewest job cuts of the year, according to Challenger data. In fact, from 2009 through 2013, the fourth quarter averaged 131,174 job cuts, making it the smallest job-cut quarter during that period. The fourth-quarter average was 18% lower than the next highest quarterly average during the five-year period: the second quarter, which averaged 160,721. “The first quarter is the most active period for job cutting. So, looking ahead to 2015, we are likely to see a first-quarter surge. However, unless there is a major shock to the economy between now and the end of the year, the first three months of the new year should remain relatively low by historical standards,” said Challenger. Separately, first-time claims for state unemployment benefits fell by 8,000 during the week ending September 27 to a seasonally 287,000. At the same time, the government said the previous week’s total was revised upward by 2,000. 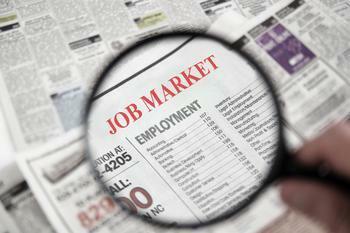 The definitive word on jobs is due tomorrow, when the September employment report is released. The 4-week moving average, which is less volatile and considered a more accurate barometer of the labor market, was 294,750 -- a drop of 4,250 from the previous week'. The full report is available on the Labor Department website. The nation's jobless rate rose 0.2% in June to 4.9%, as another 347,000 people found themselves out of work, according to figures released by the Department of Labor (DOL). At the same time, the economy created another 287,000 jobs last month, mostly in leisure and hospitality, health care and social assistance, and financial activities. Among the major worker groups, the unemployment rates for adult women (4.5%) and Whites (4.4%) rose in June. The rates for adult men (4.5%), teenagers (16.0%), Blacks (8.6%), Asians (3.5%), and Hispanics (5.8%) showed little or no change. Both the labor force participation rate, at 62.7%, and the employment-population ratio, at 59.6%, showed little change during the month. The number of people out of work less than five weeks increased by 211,000 in June, following a decrease during the previous month. The number of long-term unemployed (those jobless for 27 weeks or more) changed little in June at 2 million and accounted for 25.8% of the unemployed. The biggest contributor to the increase in employment was leisure and hospitality (+59,000 jobs), followed by health care and social assistance (+58,000) and financial activities (+16,000). Employment in mining continued to trend down in June (-6,000), with other major industries, including construction, manufacturing, wholesale trade, transportation and warehousing, and government showing little or no change in June. Average hourly earnings for all employees on private nonfarm payrolls edged up two cents in June to $25.61, following a six-cent increase in May. Over the year, average hourly earnings have risen by 2.6%. 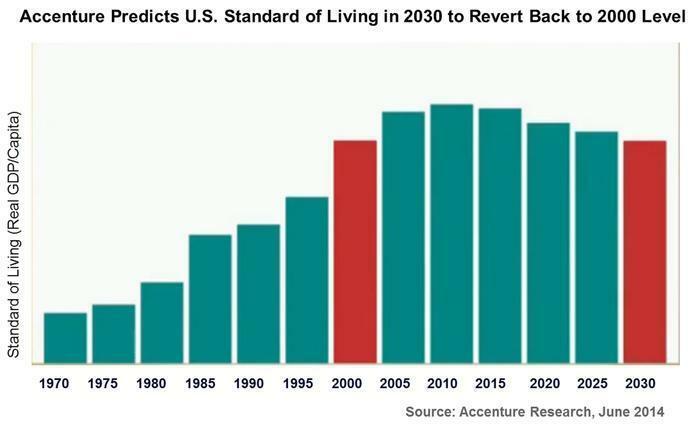 For the first time in history, the U.S. standard of living is poised to decline. An Accenture study predicts a 9% decline by 203o -- back to the level it was in 2000. The study identifies three major economic threats: an aging population, lower workforce participation and a flat or declining labor productivity growth rate. The Accenture report advocates that state governments develop and execute strategies to ensure a sufficient supply of talent to meet the country’s workforce demands. According to the U.S. Bureau of Labor Statistics, current workforce participation rates are at their lowest since 1977. Population: As Baby Boomers retire, the working age population (15- to 64-years-old) is shrinking as a share of the total population. By 2030, the working age population could shrink by 9%, declining to a 1970 level. Productivity: States are facing an unreliable growth rate in workforce productivity, which has fallen below 1% for five of the past 10 years and is now at one of its lowest points since 1960. Accenture’s analysis points to several factors affecting participation and productivity growth rates: Employers are not finding the skills they need for open positions, the long-term increase in high school and college graduation rates is forecast to end and more than half of recent college graduates consider themselves either under-employed or working in positions that do not require their college degrees. A growing dissatisfaction with government was one of the key factors found in the survey, which included citizens, employers, jobseekers and state employment officials across the country. The majority of citizens surveyed, 72%, said they have little or no trust in the ability of government to act quickly enough to address employment and skills issues. Only 18% of employers surveyed said they had sufficient access to the skills they require, and only 12% of job seekers say it is easy to find the right job. Among the job seekers, 58% cited a lack of access to job information as a major barrier to finding employment. Both job seekers (48%) and employers (56%) say they would value better matching of skills needed by employers against available jobs. A majority of employers (62%) do not think government is anticipating future skills demands. Accenture recommends that states provide real-time, skill-based information about jobs that are in high demand and promote the workforce qualifications needed to fill those jobs. States should also create talent supply pipelines that can provide employers, including government, with reliable access to the skills and competencies they need, Accenture said. States should offer every job seeker a personalized road map that shows him or her how to put unique talents to work to gain the skills and competencies needed for the desired job, the report recommends. Along with the jobless rate, the number of unemployed persons dropped to 8.7 million. Over the year, the unemployment rate and the number of unemployed persons were down by 1.2% and 1.7 million, respectively. The civilian labor force participation rate -- at 62.8% -- was little-changed February and has remained within a narrow range of 62.7 to 62.9% since last April. The employment-population ratio was unchanged at 59.3% in February but is up 0.5% over the year. Among the major worker groups, the unemployment rate for teenagers decreased by 1.7% points to 17.1% in February. The jobless rates for adult men (5.2%), adult women (4.9%), whites (4.7%), blacks (10.4%, Asians (4.0%), and Hispanics (6.6%) showed little or no change. The number of long-term unemployed (those jobless for 27 weeks or more) was little changed at 2.7 million in February. These individuals accounted for 31.1% of the unemployed. Over the past 12 months, the number of long-term unemployed is down by 1.1 million. Job gains last month were seen in food services and drinking places (59,000), professional and business services (51,000), management and technical consulting services (7,000), computer systems design and related services (5,000), and architectural and engineering services (5,000). Construction added 29,000 jobs, with employment in specialty trade contractors up by 27,000 -- mostly in the residential component. Health care employment rose by 24,000, transportation and warehousing added 19,000 jobs, and employment in retail trade continued to trend up in February (32,000). Manufacturing employment added 8,000 positions, although within the industry, petroleum and coal products lost 6,000 jobs -- largely due to a strike. Employment in mining decreased by 9,000 in February, with most of it (-7,000) in support activities for mining. Employment in other major industries, including wholesale trade, information, financial activities, and government, showed little change over the month. Average hourly earnings for all employees on private nonfarm payrolls rose by 3 cents to $24.78. Over the year, average hourly earnings have risen by 2.0%. The complete February employment report is available on the BLS website. Employment in the private sector rose in October, but the pace of job creation was down a bit from September. According to the ADP National Employment Report, produced by the payroll firm in collaboration with Moody's Analytics, the economy cranked out 182,000 jobs. There were 200,000 new jobs the month before. Despite the decline in job creation from September, Moody's Analytics Chief Economist Mark Zandi says job growth is not slowing meaningfully in contrast with the recent slowdown in the government's data. “The economy is creating close to 200,000 jobs per month,” he noted, adding that, “job gains are broad based with energy and manufacturing alone subtracting from the top line. Small businesses, in particular, are contributing to the labor market's solid performance." As is often the case, job creation by small businesses -- those with 49 or fewer employees -- led the way, adding 90,000 jobs in October, nearly double the revised September gain of 47,000. Firms with 50-499 employees increased by 63,000 jobs, up 50% from the previous month. Employment at large companies -- those with 500 or more employees – was up by 29,000 jobs in October after adding 101,000 the previous month, companies with 500-999 workers added 7,000 jobs. and those with more than 1,000 employees gained 22,000 jobs, after adding 100,000 in September. Goods-producing employment jumped by 24,000 jobs in October -- the sector's best month since January of this year. Construction added 35,000 jobs, roughly matching September's gain, while manufacturing lost 2,000 jobs in October after shrinking by 17,000 a month earlier. Employment in the services sector rose by 158,000 jobs with professional/business services contributed 13,000 new hires. Trade/transportation/utilities grew by 35,000, and there were 9,000 new jobs added in financial activities - the fewest for that industry in the last six months. "Firm size contributions to October employment gains returned to the same pattern we had been seeing for some time prior to September as small businesses rebounded to account for almost half the jobs added," said Ahu Yildirmaz, VP and head of the ADP Research Institute. "Large companies continue to be negatively impacted by trends such as low oil prices and the strong dollar driving weaker exports. On the other hand, small businesses can benefit from these same trends." With employment prospects improving over the last few months more people are beginning to think about changing jobs. When the unemployment rate hovered around eight percent, most people with jobs simply considered themselves lucky. But with growing confidence in their prospects some 21% of fulltime employees plan to change jobs in 2014, according to a Harris Interactive survey commissioned by jobs site CareerBuilder.com. It's the largest percentage in the post-recession era. However, it isn't just an increase in confidence that is leading to the rise. When the survey drills deeper it finds that a significant drop in satisfaction with their current job is a big reason for seeking greener pastures. The survey found 59% said they were satisfied in their current job, down from 66% in the 2013 survey. Those reasons for dissatisfaction might sound familiar to some: 66% have concerns over what they are paid, 65% say they don't feel appreciated. 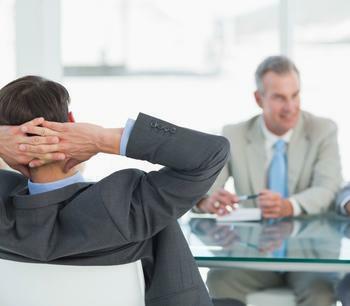 Those are things employment experts say can be addressed to retained valued employees. "Offering frequent recognition, merit bonuses, training programs and clearly defined career paths are important ways to show workers what they mean to the company," said Rosemary Haefner, vice president of human resources for CareerBuilder. "In general, however, when more workers change jobs it's usually a sign the labor market is warming up. During the recession and in its aftermath fewer people voluntarily left jobs because the chances of finding a new or better one were low compared to a healthier economic cycle." Finding a better opportunity is usually a good reason to move on, but another study serves as a cautionary tale; too much moving around can be bad for your career. A Robert Half survey of Human Resources managers shows HR managers sometimes see frequent job changes as a red flag when considering a job application. What does it take to be viewed as a job hopper? When the HR managers in the survey were asked how many job changes in a 10 year period would put an applicant in the job hopper category, the average response was five. "The job market has been unpredictable in recent years, and employers understand job candidates may have had short stints in some positions," said Paul McDonald, Robert Half senior executive director. "However, businesses look for people who will be committed to the organization, can contribute to the company, and help it reach its short- and long-term goals. Too much voluntary job hopping can be a red flag." If one or some of those reasons are among your reasons, these experts suggest making sure any new job you accept addresses the ones that are most important to you. Meanwhile, the CareerBuilder survey suggests the biggest reason people will look for new jobs in 2014 is job dissatisfaction. 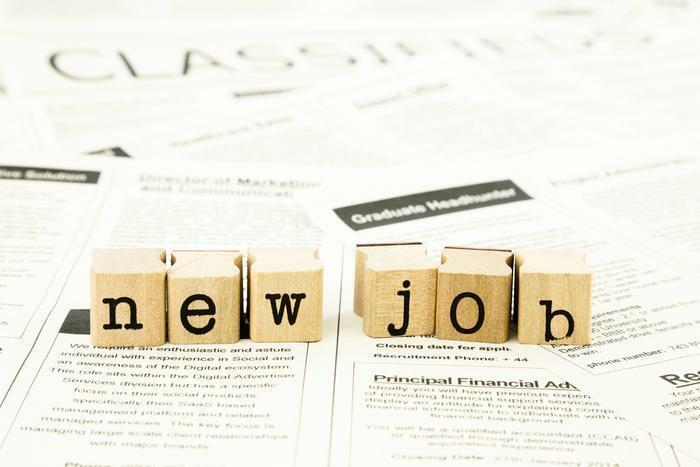 Fifty-eight percent of the employees in the survey who said they were dissatisfied in their current positions said they hoped to land a new job in the new year. Personal incomes rose in August, building on July's increase, as did personal consumption expenditures (PCE) or consumer spending. According to the Bureau of Economic Analysis, income was up 0.3%, or $52.5 billion, and disposable personal income (DPI) -- also known as after-tax income -- increased $47.1 billion, or 0.4%. PCE was up $54.9 billion, or 0.4%. The increase in wages and salaries weakened in August, rising just $35.6 billion, compared with an advance of $43.8 billion the month before. Private wages and salaries were up $31.5 billion, while government wages and salaries rose $4.1 billion. PCE, personal interest payments and personal current transfer payments increased $55.2 billion in August, after rising $46.0 billion in July. 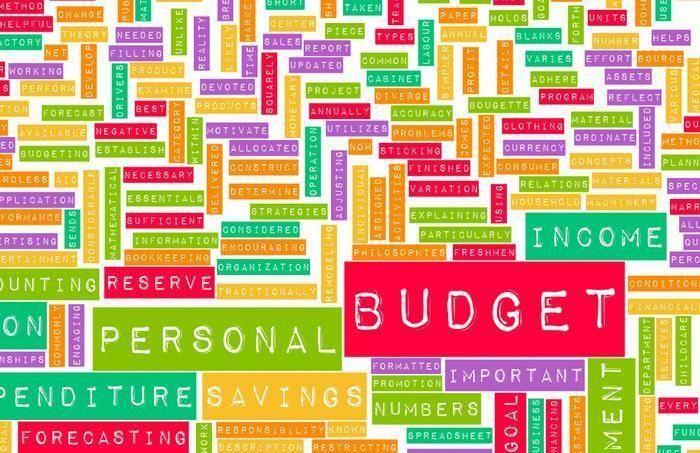 Personal saving -- DPI less personal outlays -- was $615.6 billion in August, compared with $623.6 billion in July. The personal saving rate -- personal saving as a percentage of disposable personal income – was 4.6% versus 4.7% a month earlier. Teenagers are finding jobs this summer, but not as many as they used to. According to an analysis of the latest government data by outplacement firm Challenger, Gray & Christmas, employment among 16- to 19-year-olds increased by 156,000 in May -- a drop of 14% from last year. Because of the government shutdown, we may or may not get the official word on how many jobs the economy cranked out in September. But, according to the ADP National Employment Report, private sector employment increased by 166,000 last month. At the same time, though, the report -- which is derived from ADP’s actual payroll data -- revised August’s job gain down from 176,000 to 159,000. Goods-producing employment rose by 19,000 jobs, a slight increase over its August growth rate. Construction payrolls added 16,000 jobs, while manufacturing payrolls increased by 1,000. Service-providing industries added 147,000 jobs -- down 5,000 in August. Among the service industries,, trade/transportation/utilities added the most jobs with 54,000 over the month. Professional/business services employment rose by 27,000, while financial activities lost 4,000 jobs. "During the month of September, the U.S. private sector added a total of 166,000 jobs,” said Carlos A. Rodriguez, president and chief executive officer of ADP. "As in previous months, most of the job gains occurred in the service-providing sector." Of the total, 74,000 jobs were created by businesses with 49 or fewer employees. Employment levels among medium-sized companies with 50-499 employees rose by 28,000 and there was an increase of 64,000 at large companies -- those with 500 or more employees. 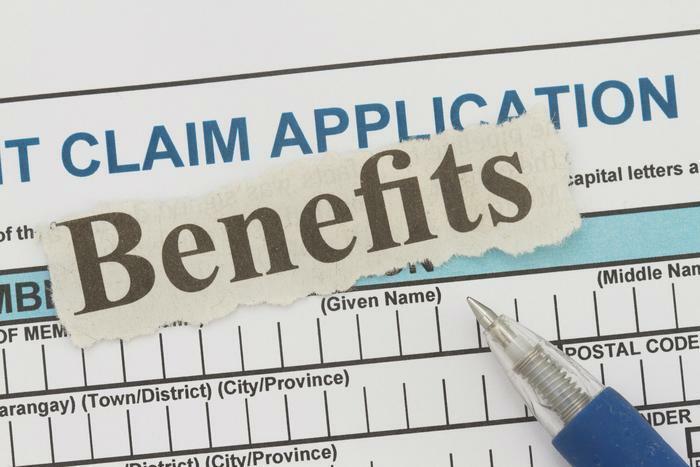 Separately, one of the parts of the government that is still functioning reports initial claims for unemployment benefits rose by 1,000 in the week ending September 28 to a seasonally adjusted total of 308,000. 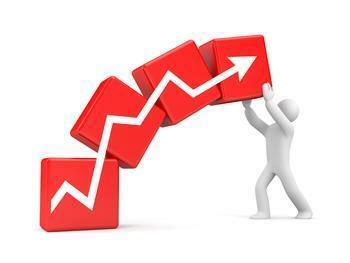 The total for the previous week had been revised upward by 2,000. Analysts at Briefing.com say this level of claims normally would suggest a strong gain in nonfarm payrolls. But they add that over the last couple of months, the strengthening in the claims level had no effect on payroll growth. Employers appear to be content with their workforce, they point out, so that while there's been a drop in layoffs, there's been no corresponding spike in hiring. The 4-week moving average, which eliminates the volatility in the weekly number and is considered a more accurate gauge of the labor market, was down 3,750 to 305,000. The full report can be found on the Labor Department website. A sharp drop in employment at restaurants and bars contributed to an overall loss of jobs in September. The Bureau of Labor Statistics (BLS) reports 33,000 jobs disappeared last month, the first monthly job loss since 2010. At the same time, the unemployment rate fell to 4.2 percent from the August reading of 4.4 percent. Figures released by outplacement consultancy Challenger, Gray & Christmas show the dramatic decline came just a month after job cuts surged 70% --to 51,183 in October. The November total was 21% lower than the 45,314 job cuts announced the same month a year ago. 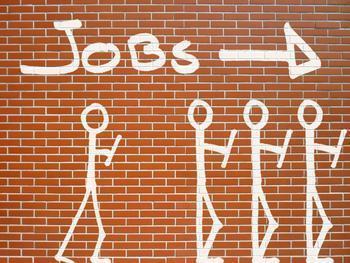 Heading into December, employers have announced 450,531 job cuts -- down 5.8% from 478,428 at the same point in 2013. Job cuts are on pace to finish the year with the lowest year-end total since 1997. 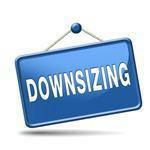 Companies in the consumer products industry saw the heaviest downsizing with 5,158 jobs disappearing from payrolls. That was followed by the health care sector with 5,124 announced job cuts during the month. So far this year, the computer industry remains the top job-cutting industry, with 58,207 planned terminations. That's nearly double the 29,558 job cuts announced by computer firms between January and November 2013. 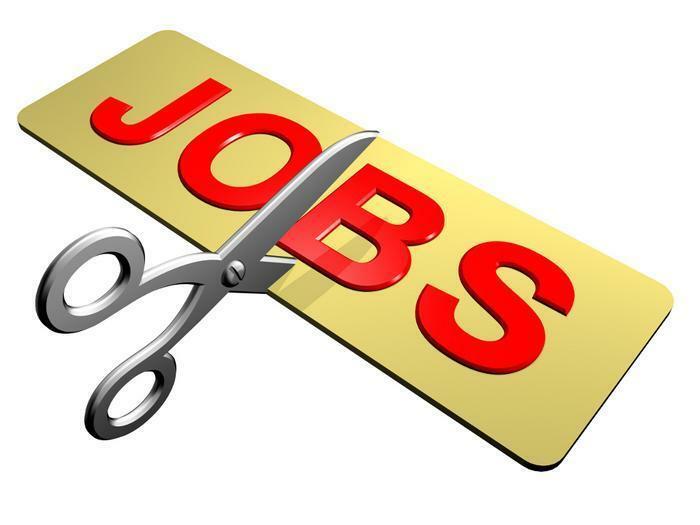 The second leading job-cut industry to date is the retail sector, where 41,588 jobs have disappeared, including 2,640 last month. Seasonally-adjusted employment figures from the Bureau of Labor Statistics, which are intended to smooth out the volatile fluctuations related to seasonal hiring, show that there were 15.4 million workers in retail, as of October -- just shy of the record-level of 15.5 million reached in 2007. A big drop last week in first-time applications for state unemployment benefits. According to the Bureau of Labor Statistics, initial jobless claims fell by 17,000 during the week ending November 29 -- the biggest move in 4 weeks -- to a seasonally adjusted 297,000. The previous week's level was revised up by 1,000 to 314,000. The 4-week moving average, which is less volatile than the weekly calculation and considered a more accurate barometer of the labor market, was 299,000 -- an increase of 4,750. According to outplacement firm Challenger, Gray & Christmas, U.S.-based employers announced they were eliminating 32,346 jobs in September -- down 4.4 percent from the month before and a year-over-year decline of 27 percent. It won't be long before college students will be lining up by the thousands to receive their diplomas -- and then start the search for gainful employment. As these three million young adults with freshly-minted associate or bachelor’s degrees enter what's called “the real world,” they should be in pretty good shape as far as job prospects go. There 's been a slight uptick in the percentage of job seekers moving for new employment in the first half of the year. Outplacement consultancy Challenger, Gray & Christmas reports that in the first two quarters of 2016, an average of 11.3% of job seekers have relocated for new positions. The relocation rate reached 12% in the second quarter -- the highest percentage since the final three months of 2014, when 15% of job seekers found work in new towns. The U.S. services sector has continued a steady month-by-month growth, reaching its highest numbers in more than a decade. The latest report from the Institute for Supply Management shows the Non-Manufacturing Index rose 4.5 percentage points in September to 59.8, the highest reading since August 2005. A reading above 50 indicates expansion; below 50 means contraction.